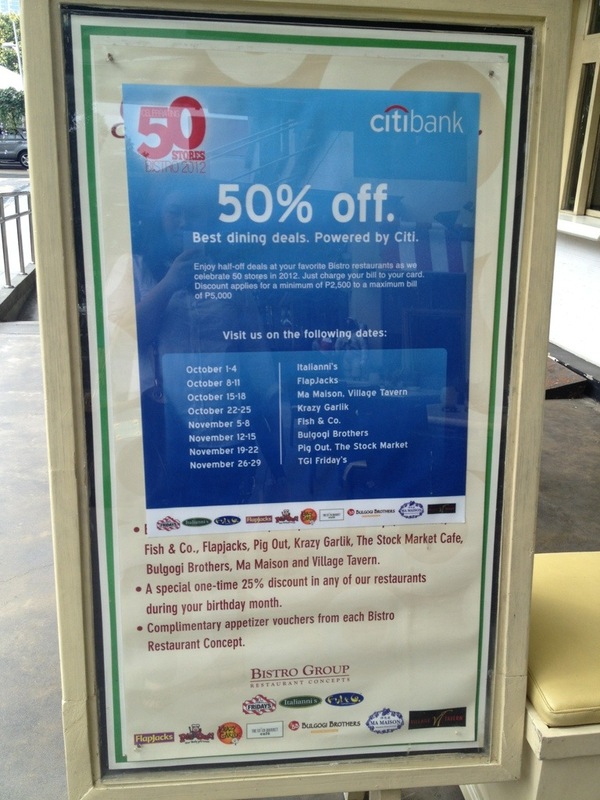 Just saw this amazing food sale from Citibank for Bistro Restaurants on specified dates. 50% off for a min receipt of Php2500 and max receipt of Php5000. Krazy Garlik, Bulgogi Brothers, Italiannis and more are ALL included. Check out the dates for the corresponding sale per restaurant.